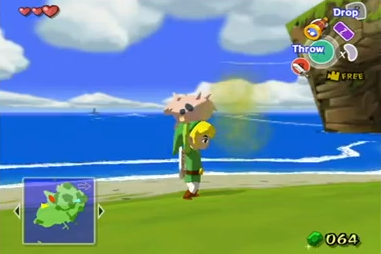 I picked up a pig in wind fall when it was in the bush thing, and while I was carrying it, it was farting. Has anybody noticed this? Yeah, I noticed that too. It made me lol so hard. And Link's faaaace. XD I don't blame him. Running probably makes it worse.